This one was harder than I thought, basically due to the fact that there are so many. I wanted to get outside the box on this one, but I just kept coming back to the most memorable moments, the ones that have stuck with me, outpourings of affection beautifully written, perfectly delivered, heart-melting, true. Moments so perfectly written, you wish you could've said the same thing. You know you've felt it. 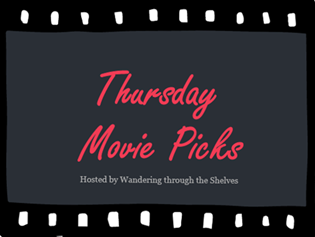 This fine Thursday on Wandering through the Shelves' Thursday Movie Picks, the Valentine's themes continue. This time Declarations of Love. Note: Click the screen captures to link to YouTube clip. In which Harry (Billy Crytal) declares his love, in detail, to Sally (Meg Ryan). "I've been doing a lot of thinking, and the thing is: I love you...I love that you get cold when it's 71 degrees out. I love that it takes you an hour and a half to order a sandwich...."
In which Holden McNeil (Ben Affleck) declares his love, at the end of his rope, for Alyssa Jones (Joey Lauren Adams). "I can't take this. I love you. And not, not in a friendly way, although I think we're great friends. And not in a misplaced affection, puppy-dog way, although I'm sure that's what you'll call it. I love you. Very, very simple, very truly. You are the-the epitome of everything I have ever looked for in another human being...."
For the record, everyone should see this movie. The fact that more people haven't devastates me majorly. I named it my number one favorite film of the aughts. In which Joe Nast (Jake Gyllenhaal) declares his love, in 75 handwritten letters, to Bertie (Ellen Pompeo) with Jefferson Airplane's "Comin' Back to Me" on the soundtrack. "You asked me before where I went. And I want to tell you. I went to a place where nothing's right, where every moment's backwards, every sky's without color, without hope. I tried to come back, Bertie. But I got lost. And while I was gone, I met you...."
Ughhhhh why haven't I watched Moonlight Mile yet?! It sounds like something I'd love, for sure. I put When Harry Met Sally in my list too, I mean, there's just no way I couldn't! Oh, Allie, please watch Moonlight Mile. It is so beautiful. I've only seen Chasing Amy and I love that you went with that one. It's been so long since I've seen it, it deserves another watch. It is so good. Definitely re-watch. It holds up. I love how much you love Moonlight Mile! Such a beautiful and underrated film! It really is. I've decided to take every opportunity to shine a light on it. It was so underseen. I've only seen When Harry Met Sally and it's in my list too. Such a beautiful film! I haven't seen Moonlight Mile but I remember hearing about it when it came out and now I don't know why I never saw it. 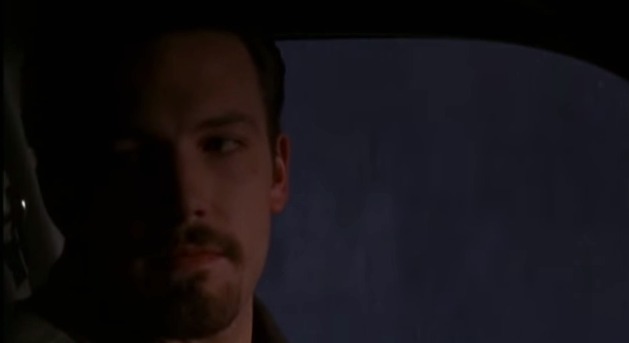 I also picked Chasing Amy - that scene is CLASSIC, probably the most charming Affleck has ever been. I can't BELIEVE I didn't think of When Harry Met Sally! I LOVE that movie and that scene especially. Stone-cold classic. Oh, Dan, please see Moonlight Mile. It is just perfect. So CLASSIC! Yes. When Harry Met Sally!! Can't believe I didn't even think of it! Like you I had trouble getting down to three because there are so many to chose from and yet this one which seems so obvious now slipped my mind. Ugh! That scene is so great, the pair of them play it so perfectly. I'm surprised to see Chasing Amy popping up so much. I liked the film and it fits well it just seems like such a small film to have the lasting impact it seems to have. I've only seen Moonlight Mile the once. For me it was too grim to revisit again, but then the story behind it is so sad too. I don't remember it well but that quote fits well. It was tough only choosing three and I've been kicking myself all morning with different ones that I keep realizing I'd forgotten! But I love my final three so whaddya gonna do? Pride & Prejudice (2005)-Lovely adaptation of the Austen classic with Keira Knightley & Matthew MacFayden well matched as the headstrong Elizabeth Bennett and the reserved Mr. Darcy who secretly loves her. They are surrounded by a perfect supporting cast. *Memorable Declaration-During a sweeping rainstorm in an isolated pavilion the drenched Darcy declares that he loves Lizzie most ardently! Last of the Mohicans (1992)-Exciting, intense beautifully filmed reading of James Fenimore Cooper’s novel. Daniel Day-Lewis and Madeleine Stowe bring an electric chemistry to their characters which enhances all their scenes but particularly their romantic ones. Pitch perfect music score adds an extra dimension to the effectiveness of the film. Somewhere in Time (1980)-At the premier of his first play writer Richard Collier (Christopher Reeve) is approached by a mysterious old woman who presses a locket into his hand with the words “Come back to me!” Years later Collier now a successful but blocked playwright impulsively takes a trip to an old resort where he spies a picture of once famous actress Elise McKenna (a breathtakingly beautiful Jane Seymour) from 70 years hence and becomes obsessed with her. Believing she is his destiny he searches for a way to travel back to her time. Preposterous but uber romantic time travel fantasy with the well matched leads and the gorgeous Mackinac Island selling the plot’s various implausibility’s for those able to suspend belief. Very involving if you like romantic movies. *Memorable Declaration-In the guise of the character she is portraying on stage Elise goes off script and staring straight at Richard says: “The man of my dreams has almost faded now. The one I have created in my mind. The sort of man each woman dreams of, in the deepest and most secret reaches of her heart. I can almost see him now before me. What would I say to him if he were really here? "Forgive me. I have never known this feeling. I have lived without it all my life. Is it any wonder, then, I failed to recognize you? You, who brought it to me for the first time. Is there any way I can tell you how my life has changed? Any way at all to let you know what sweetness you have given me? There is so much to say... I cannot find the words. Except for these: I love you." When Harry Met Sally was a must. That declaration is maybe the best ever. So much timeless truth about men and women in that film. Chasing Amy is so lasting for me because Kevin Smith was so big when I was in college. Jay and Silent Bob Strikes Back came out, and it prompted me to visit his earlier films. He really is such a strong screenwriter. Moonlight Mile is a bit grim and sad, but it is so filled with hope by the end, it just melts my heart. This is the rare occasion where I've seen and know well one of yours. Last of the Mohicans! Just a great pick and moment that just didn't occur to me. I have always wanted to see that version of Pride and Prejudice. I just haven't yet. I have difficulty committing to that sort of period piece, but, when I do, I usually really enjoy them. Somewhere in Time sounds good. Not familiar with it. Great quotes! I'm so out of the loop. I've only see When Harry Met Sally in bits and pieces over the years, never in its entirety. Haven't seen any of the other two, at all. Guess I have some rom-coms to watch. Get in touch with your rom-com side, Dell. I find they work more than they don't, even the bad ones. And definitely watch When Harry Met Sally, and watch it with the wife. There is so much timeless truth in it. Great picks! But I haven't seen Moonlight Mile. Maybe I should check it out. Thanks! Definitely check it out. It is an all time for me. Moonlight Mile is great. Definitely check it out. Chasing Amy is a solid movie. Hope you check out my other picks. Both great movies. I haven't seen Moonlight Mile, will add that to my watch list! Great picks! I am so glad you put When Harry Met Sally on here, and I even remember when we first watched it. You were really apprehensive. I can't believe you didn't include Fever Pitch!! "If you love me enough to sell your tickets, I love you enough not to let you.What do you say baby, let's try to do all and jerk one out of the park?" "That's the sexiest thing I've ever heard!" I know. It just barely missed the cut. I've seen Moonlight Mile, I just can't remember a thing about it.